I am speechless! The short-term opportunity on the spread LEZ17-LEV17, I have recently wrote about, started as a rocket. Spread had very good perspectives based on the analyzes I used, but I did not expect such a madness. 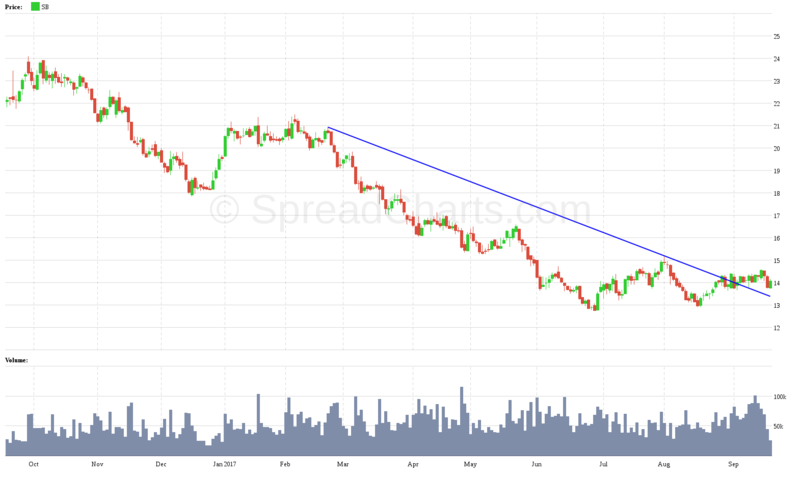 From the time of publishing the spread report, where I have analyzed this opportunity, the spread has grown by up to 4.5 points, that means $ 1,800. Looking at a detailed charts of seasonality or seasonal averages, we can see that this year’s spread is unique (blue curve), but not totally unusual. 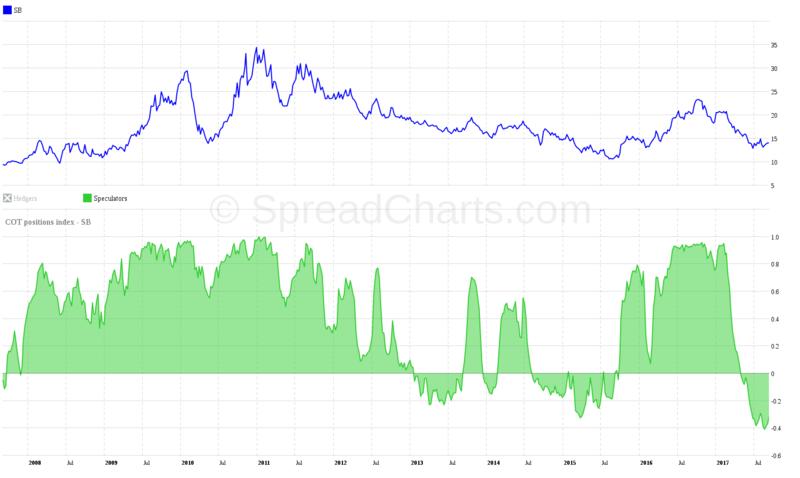 For example, two years ago the spread made even a steeper rise up (orange curve). I am really happy. 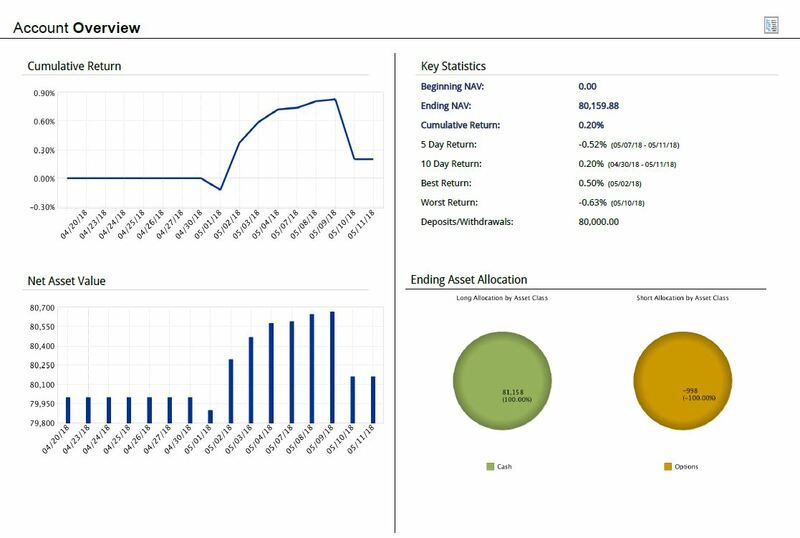 One of my Spread Report followers (Jiri) wrote me that he had three contracts in, so his money management allowed him to keep one contract in, for the case of further growth. His final profit around $ 3,000 was wonderful, even though it is a bear spread, where similar moves are quite exceptional. No, do not worry. No magic. But you’ve been asking me a lot how I managed to find this opportunity. I have described it in details in the report and also in my article. But the important thing is that there is no magic. My approach is simple, but it is based on very strong and meaningful analyzes such as COT analysis, market structure, technical analysis, seasonality and full carry, in the case of grain commodities. And that is all, and it works not only to me, but to all. Also the students of my class have been able to experience this, since I have been doing detailed video lectures on commodity spreads and the use storage costs on grain. 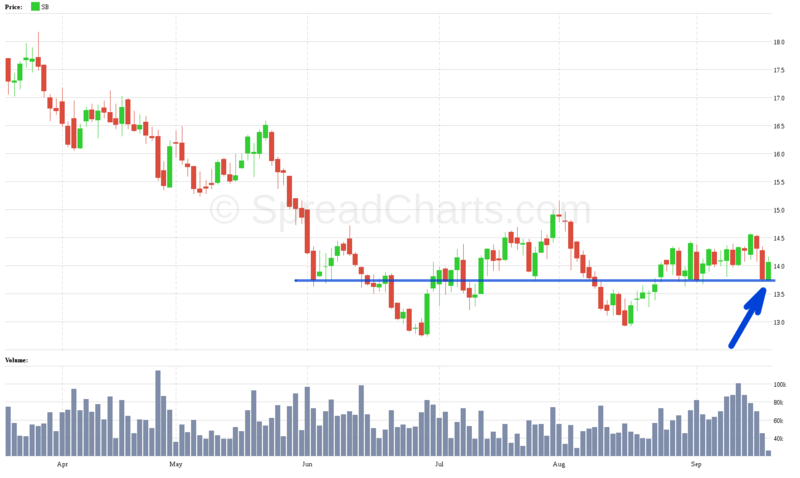 A few days ago, I have added another member to my portfolio – Bull Spread for Sugar SBH18-SBK18. Of course, a detailed analysis in the Spread Report is not missing also this time. The selection process was again very simple – from the COT analysis, through technical analysis, market structure and seasonality to the given spread. At first glance, COT analysis indicates strongly oversold market. This means a fairly solid chance of turning the trend. Technical analysis of the underlying asset suggests that sugar will probably not be much cheaper. The bottom line is 13 cents and it is still possible that the prize will hit again this level. It is common that consolidation takes longer after such a strong and relatively long downtrend. On the next chart you can see the spread and the indicated entry level. As you can see, this is a relatively risky entry. Although the downtrend has already passed, the market is still in contango. If the sugar price will not grow enough, the bull spread will not probably get above zero. Of course, I’m not saying that there is any guarantee this spread will be be successful. It is a bull spread, which usually does not work. The reason is the market structure. I am using very powerful ways when evaluating the trades, but I am still missing one thing – the crystal ball 🙂 Therefore everything is just about the probability and the right risk management!